Priests are principal actors in carrying out the vision and mission of the Diocese. They need to be equipped and refreshed for the well being of their ministry. From 26th to 29th July, 2017, in the conference room of the Diocese, a refresher course for 98 priests of the Diocese of Rumonge was organized by the Diocese, supported by LMI, the partner of the Diocese. The exposed themes were:Introducton to counseling; Introduction to business planning; How to provede per residence evangelism; How to conduct a holy communion service; etc. The main facilitators were: Rt. Rev. Pedaculi B., Bishop of Rumonge Diocese, Rt. Rev. Wasonga J., Bishop of Maseno West Diocese from Nairobi- Kenya and Rev. 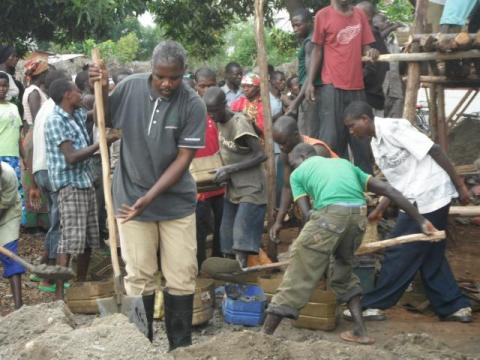 Alexander Biscup, representative of LMI in Burundi. On the 30th July, 2017, a fundraising crusade organized by the Diocese has been held in the Cathedral. 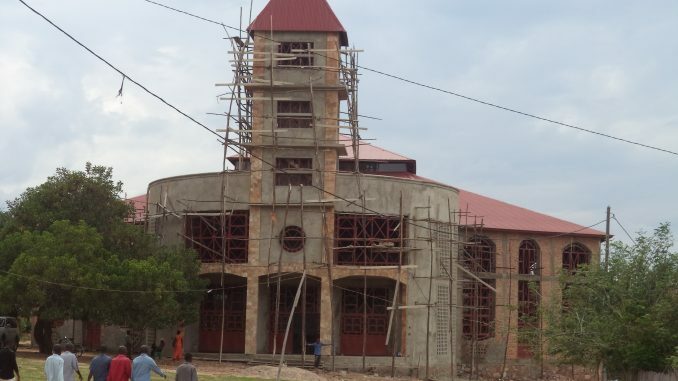 The goal was to collect 120 Million Burundian Francs for making the doors and windows of Temple of Rumonge Cathedral. The feed-back was around 97 MillionBUF, either 80%, from all the 53 Parishes of the Diocese. The day’s sermon was given by the Rt. Rev. Wasonga from Nairobi- Kenya. The message was: ”Consider now, for the Lord has chosen you to build a temple as a sanctuary. Be strong and do the work” (1Chronicles 28:10). 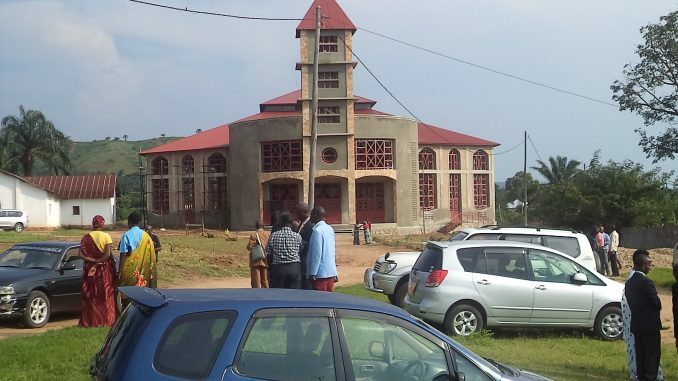 The Diocese of Rumonge is favored to receive visitors, it’s a blessing. Since 21st to 25th August, 2017, Rev. Denise Dodd from DURHAM Diocese in England visited the Diocese of Rumonge in the aim of relationship reinforcement. She visited the Diocse’s office; Cathedral of Rumonge; new building of maternity ward at Birimba AMAHORO Medical Center; Bishop’s family; Mubira and Mwange Parishes. On Tuesday, 19th September, 2017; from 7:00 pm to 8:00 pm; in Rumonge City especially at Birimba, Mugomere, Kanyenkoko, Makombe and Kayange; a scourge of rainstom destroyed many things including life of people where 4 persons wounded and one child died. This rainstorm damaged also 314 houses, 14 classrooms, and 4 temples, 7 stalls of markets and 6 pestles of electricity. The touched families by that threat need to be supported as early as possible. 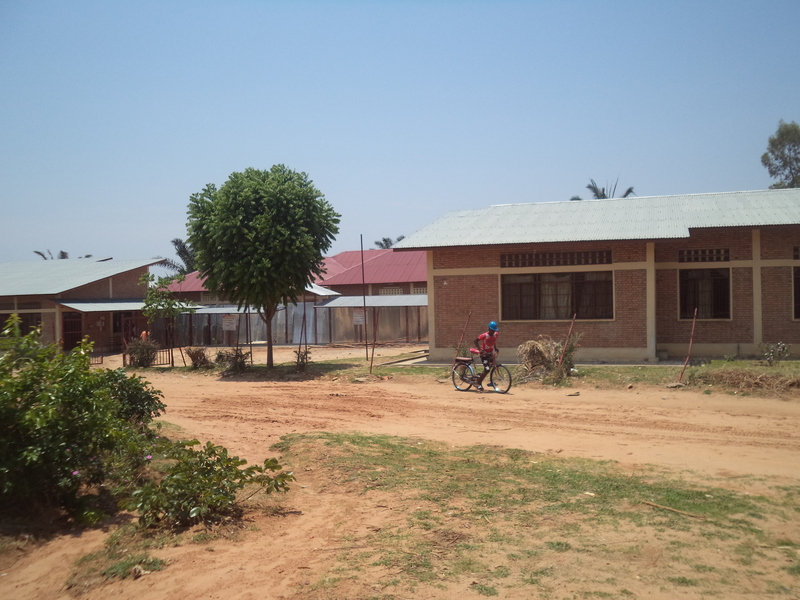 The Anglican Diocese of Rumonge has 43 fundamental schools and 13 secondary schools. The Diocese’s objective in education is ‘to promote knowledge, know how, expertise, good monners and interpersonnal skills’ so that they may be able to attain integral development.However those schools are still running to some important issues, like the lack of school material,insufficiency of classrooms and teachers. The Diocese does the best for attaining its objective by organizing trainings and work supervision that is seen in the outcome where in this last academic year, three schools (Nkizi, Cewe and Kanyabitumba)succeeded hundred percent in in the national test. The Diocese need to be supported in that work as it tries to set out an education of quality in country. Leisure time is benefit moment when it used correctly. Youth need to be organized in that kind of time. The Diocese organizes various activties such as teachings, divine conferences, games, development activties, etc; all those for occupying youth in holidays. For example, on the 22nd august, 2017, teachings for young people were given to 415 youth on the tem: ”true love and self-knowledge’ in Mubira archdeaconry. Rev Denis D.from England was among facilitators. In the conference room of the Diocese, training on fighting against sexual violence and gender based has been done respectively on the 13th and 14th September, 2017. 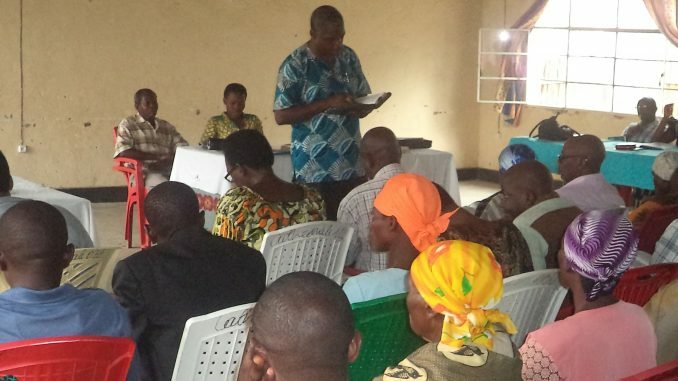 The training was organized for church leaders, health care providers and community local leaders. The main topic was : ”the contribution of church leaders, health care providers and local leaders in fighting against sexual violence and gender based”. The participants discovered their great role in that battle and accepted to put their effort to combat it. As MU program is based on training MU members with a focus on family life, this activity continues. 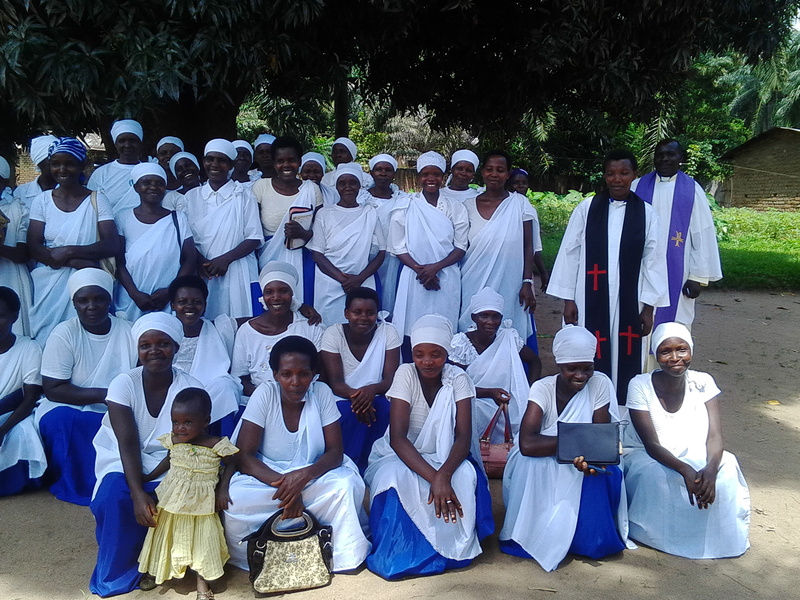 From 22nd August and 21st September, 2017, the president and diocesan coordinator of MU trained, respectively at Mubira and MibandaArchideaconries, 135 women.During the session, different family problems and violence are evoked. The trainers tried to help the participants in the light of the Bible so thattheir family should be good examples in the Church as well as in the community. In addition, MU members have got their own time at the local church to share experiences and pray together. The programm of Literacy and Financial education is helpful to the community and church members. From 19th to22nd September, 2o17, the coordination in the diocese visited groupsofMuhurazi, Bugarama, Maramvya I and Muyama parishes for monitoring their activities. In all those parishes, 75 women and 30men who participated testified the impact of that program on their family resource provision and management. At Gisagazuba high school, the school under Rumonge Diocese, graduation ceremony had been held on the 27th Septemer, 2017. It was the first promotion where 16 boys and 5 girls completed their studies. Rt. Rev. Pedaculi B., Bishop of the Diocese, in his speech, he advised the students to be courageous in studying because, to study is the basis of life; he asked the parents to support greatly their children. Finally he advised tutors to do their work of educating seriously so that the schools under the Diocese can promote a perfect education in the country.